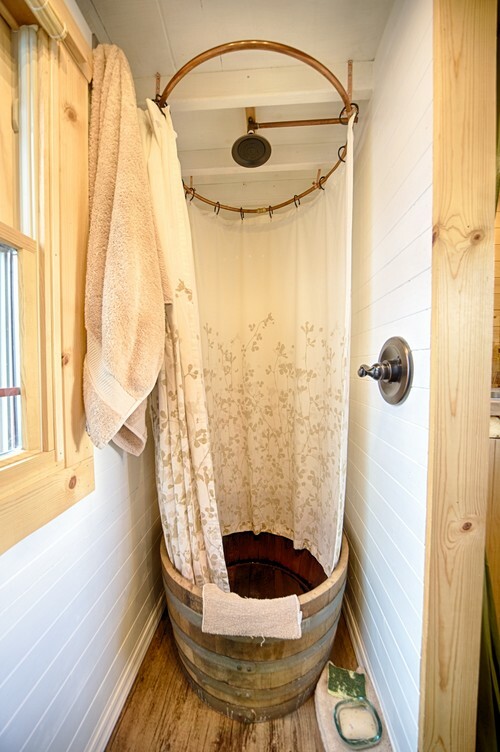 Home » Decor & Design » Design Styles » Tiny Houses Make a Big Splash! 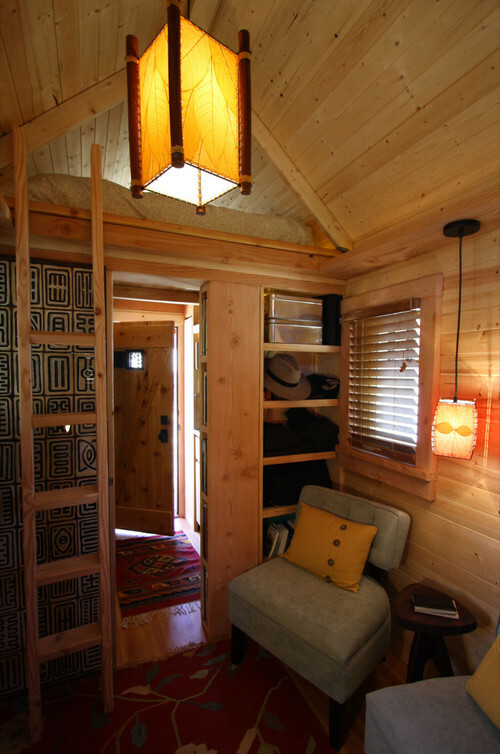 One of the most common features with the tiny house is that they are built on a trailer frame. 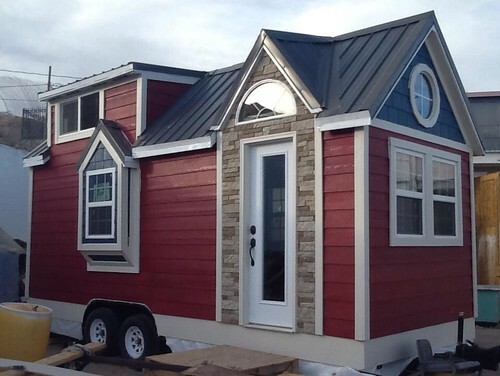 This allows the owner to easily move their home from place to place, or just drive it to its permanent location. Most of these homes come in sizes ranging from 65 sq. ft up to 400 sq. ft. (not to be confused with the small house, ranging from 400 sq. ft – 1000 sq. ft). Now, maybe you are like me and thinking “how in the world does someone live in 65 square feet?” Well, that is were the ingenious designs come in. 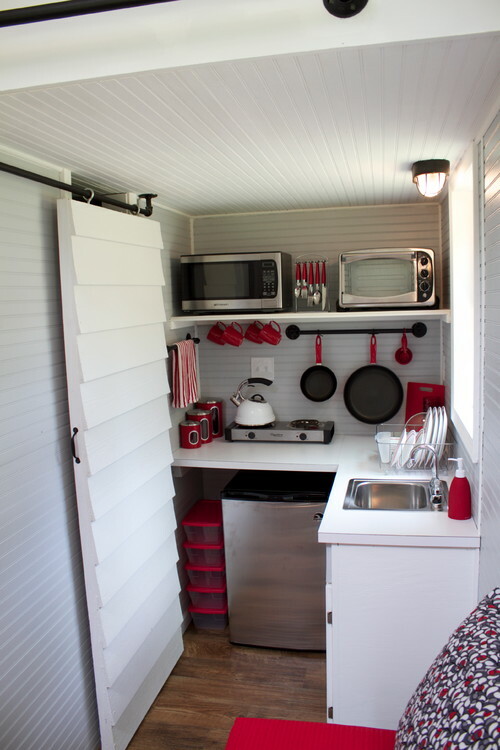 Just a quick breakdown of the interior of a tiny house would show that they have just the barest of basics for a kitchen and a bathroom. 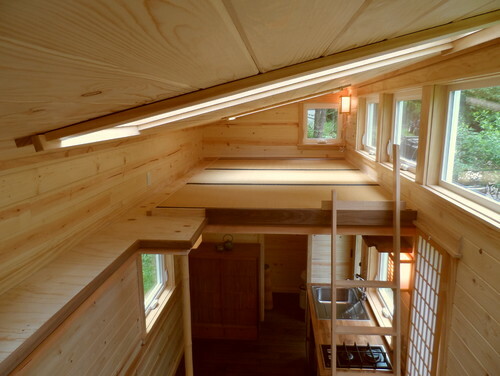 They also have a single bedroom loft that provides just enough room for sleeping. However, these homes can come with a surprising number of customizations. As can be seen in this image, basic does not mean lacking in style. But to make everything fit into such a small house, every inch of usable space must be properly utilized. Just take a look at this kitchen. 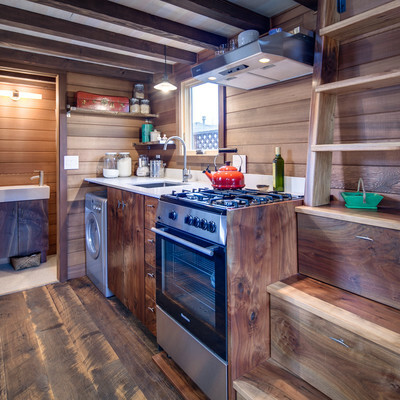 The entire kitchen and all of its contents are contained within about a 25 sq. ft. area. No need for drawers or cabinets here. Everything that is needed is stored on the walls and in the dish rack. I wish we could see what is behind that sliding door. 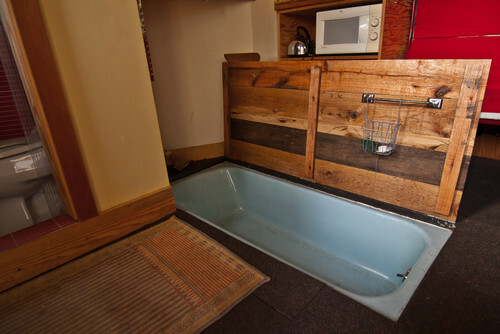 Could be a bathroom, or a very narrow pantry. 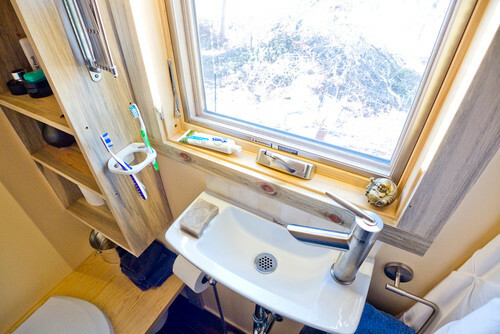 Here you can see just how small a bathroom sink is in a tiny house bathroom. 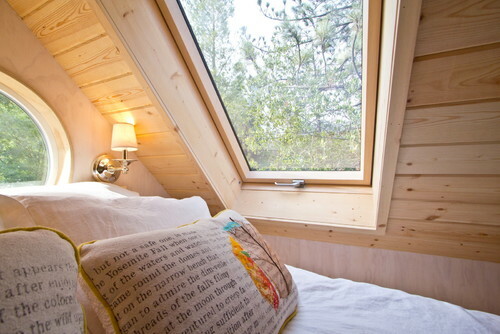 In a tiny house, the master bedroom consists of a loft space with just enough room to place a mattress. There are no closets, nightstands, or drawer space unless it is built into a small hidden area. Here the photographer did a fabulous job at making this loft look spacious. 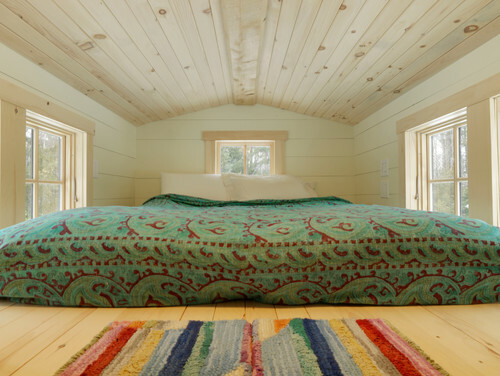 From the mattress to the highest point of the ceiling is about 36″ of headroom. 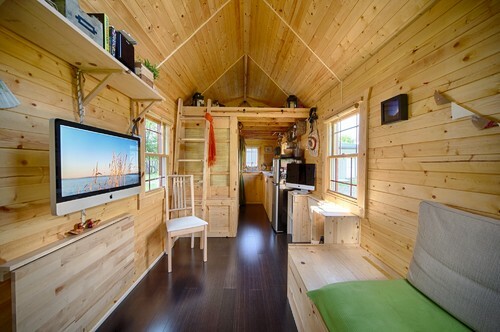 The designer of this tiny house has given the loft a bright and open feel by inserting windows around the perimeter. Here you can see an unfurnished loft area. Again, the designer has strategically placed windows to give the illusion of open space. Note the skylights along the ceiling. 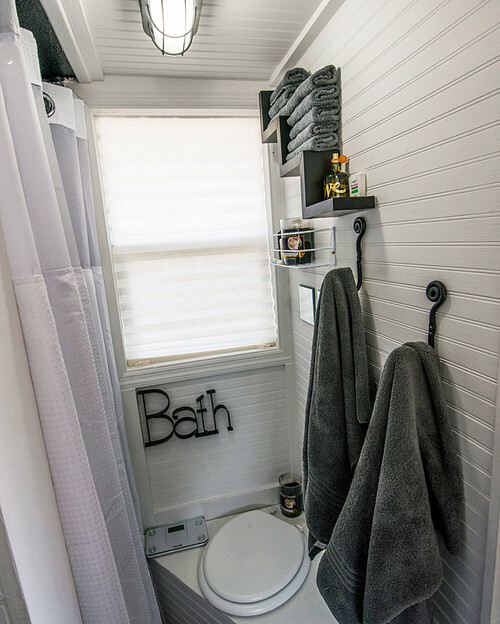 So, we have seen some of the ways that these tiny houses are designed to fit all of the essentials, but if you are like me you are wondering “where do they put their clothes?” Well, I have a few images for that, too. One of the most common storage spaces for clothing is in the steps. Some people opt to have small stairs, instead of a ladder, to access the loft space. Notice the handles on those steps. They are actually drawers for clothing. If you have looked closely, you have probably noticed several details that I did not point out in this article. 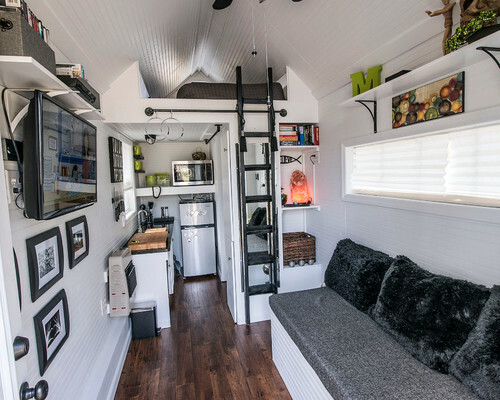 These tiny homes provide a wealth of ideas for space management, and there are just too many to mention in just one post. 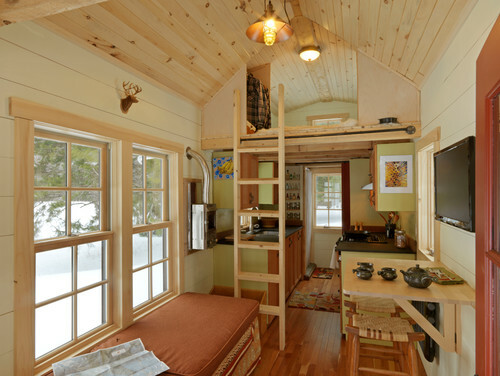 However, I will leave you with a few other tiny houses that I was impressed with. (This post also appears on Stone Gable Blog and Just a Girl and her Blog).